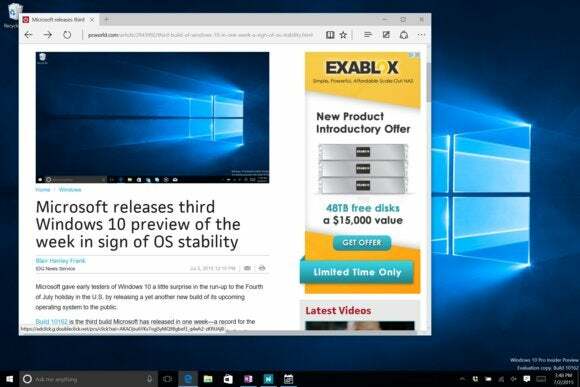 With just a month left until Windows 10's public launch, Microsoft's next OS seems on track for completion. It has been quite a week for Windows 10. In the past four days, Microsoft has released three preview builds of its upcoming operating system, and the company plans to keep serving up hot new bits to testers in rapid-fire style in the run-up to the OS’s launch on July 29. After spending a few days with the latest builds, it’s easy to see why Microsoft is increasing its pace of releases, and it’s also easy to see why the Windows Insider Program is needed. Build 10162 (released on Thursday) feels like the most stable and responsive version of the operating system that Microsoft has shipped to date. With less than a month to go until Microsoft starts rolling out Windows 10 to the public, it’s a sign that end users who haven’t taken part in the Windows Insider Program will have a fairly complete operating system to use at launch. That said, I spent the better part of Tuesday night trying to get my Surface Pro 3 to update to the latest build of Windows 10, without any luck. I wasn’t alone: There’s a whole cadre of beta testers from the Windows Insider Program’s Fast ring who can’t get one of the builds. My Surface managed to pick up the update on Wednesday morning (for reasons I don’t understand) and I’ve now made it onto the build Microsoft released Thursday. Aside from those Windows Update-inflicted issues, though, it seems to be reasonably stable. Microsoft’s efforts at bug smashing are bearing fruit as well: My Surface no longer makes an annoying popping noise while it’s sleeping, for example. Here’s the rundown on what it’s like to use this week’s builds. Leading up to this week, Windows 10 was fairly complete, featurewise. There were a few obvious holes, and it seems like Microsoft has filled them in with this past week of patches. Microsoft Edge has finally emerged from its Project Spartan-labeled chrysalis into something that basically resembles a full-fledged browser. The lowercase “e” icon that now stands for Edge will be instantly familiar to anyone who has used Internet Explorer, though that similarity actually belies a rendering engine that has been rebuilt from the ground up. Internet Explorer 11, which is still included with Windows 10 for sites that work better with the older browser, suggests people try Edge the first time they open it. 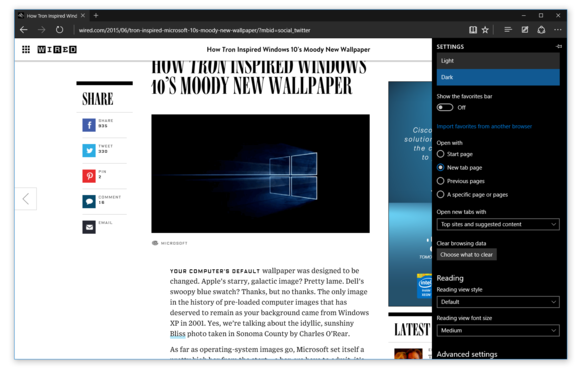 Microsoft Edge running in dark mode on Windows 10 build 10158. People who used the browser when it was called Project Spartan won’t notice a whole lot new with this newly branded iteration. Edge still features the same clean design that it sported as Project Spartan, though it now has a new menu for sharing Web pages along with a handful of other new features. It’s still missing support for extensions, but Microsoft has said in the past that those won’t be available until after Windows 10 launches. Those of us who already have a password manager may chafe at the pop-ups, but Edge also began offering to save passwords this week. Password storage is a feature that all of its contemporaries have, which makes it a de rigueur inclusion for Edge. Those people who are annoyed by the new pop-ups can open up the Advanced Settings menu and toggle “Offer to save passwords” off. While there, users can also choose whether the browser will use Adobe’s Flash player, show a new Home button and send Do Not Track requests. Edge’s settings menu is also home to a new theme drop-down that lets people choose from the browser’s default light theme or a dark theme that turns its user interface black and dark gray. Dark mode may be easier on the eyes for a late-night browsing session, but it feels out of place to me for everyday use. I may just be used to the white and light gray look of Edge’s default theme, but I think the browser looks better without the dark styling. Microsoft Engineering General Manager Gabe Aul said in a blog post that a dark theme was one of the most requested features for the new browser, so I’m sure there are some out there who will enjoy it. This week also brought the release of Windows 10’s Phone Companion app, which encourages smartphone users of most stripes to integrate their handsets with Microsoft’s services. The app itself doesn’t actually do any of the heavy lifting for the user, but just provides a set of instructions about how to set up apps like OneNote and Skype on a Windows Phone handset, iPhone or Android smartphone. Yep, you heard that right—Microsoft is providing instructions for using its competitors’ mobile platforms inside Windows 10, if only for the purpose of getting them to use the company’s services. The Phone Companion app also lets users see how much storage space is left on their device when they plug it in and in some cases move data to and from their phone. The app is emblematic of Microsoft’s newfound approach to many of its apps and services. Rather than keeping things like Office tied largely to its own platform, the company has been releasing versions of its applications and services for iOS and Android over the past year and is now using space inside Windows 10 to promote them. Thursday’s update brought a new tips feature that suggests people use new features in Windows 10 so they can familiarize themselves with the operating system. People who have been longtime Windows 10 users thanks to the Insider Program may be a bit annoyed by it at first, though. It tries to tell users about things they haven’t tried, but it doesn’t have that data on longtime Windows 10 users, so it starts educating them from scratch. The past several builds have also brought small fit-and-finish improvements, like a change to Cortana that causes the virtual assistant’s icon to bounce slightly and prompt a user to interact with it when they log in. 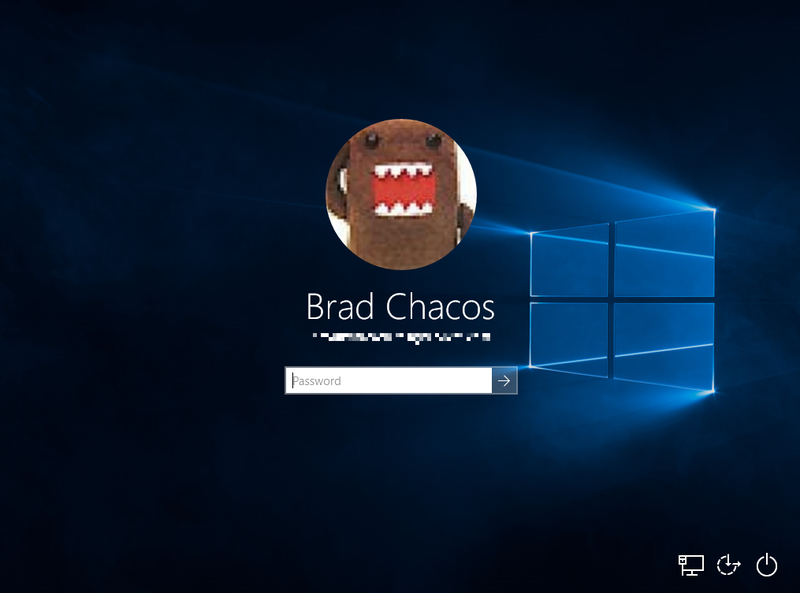 The login screen has been redesigned to put a user’s photo front and center, and Microsoft has added a new default wallpaper that the company created for Windows 10. Those are just a couple of the most obvious tweaks that made the operating system better overall. With all this talk about stability and bug fixes, you may be wondering if it’s a good idea to install the Insider preview of Windows 10 on a computer that’s used daily, especially after Microsoft has boasted of improved performance in these latest builds. In my opinion, it’s still worth it to wait until the end of the month if you haven’t jumped into the Insider Program already. While the issues remaining with Microsoft’s new operating system are fairly minor, problems remain. My Surface Pro 3 is still waiting to get firmware updates from May and June because of a bug in the way updates are handled, and I recently erased its contents in order to try and get an update. If it had been my only machine, that would have been a serious drag on my productivity.